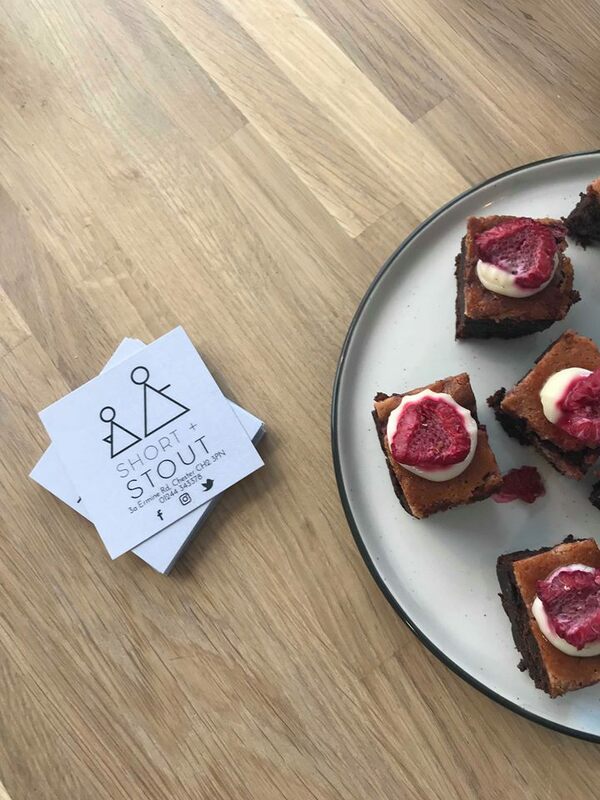 Josie gives us a first glimpse into Hoole’s newest independent cafe, Short and Stout, which is set to bring a fresh approach to all things brunch! The cafe opens 22nd June so be sure to grab a seat at another one of Chester’s soon to be best eats! When we look at our lovely Chester, we feel a great sense of pride and joy at everything that this little town has to offer. There are great bars, diverse restaurants, theatre, shopping…but more recently, Chester has been introduced to a new culture; a culture that I experienced in abundance whilst living in the sunny land down under; one that caters to freshness, early rises and day graspers. That culture is of course the infamous brunch scene. And the newly established Short and Stout café in Hoole ticks all those fresh vibes. Created and owned by couple Will and Sarah, who met whilst traveling Australia, the pair fell in love with the freshness of the Aussie lifestyle and decided that Chester is the perfect haven to foster this culture. And I was lucky enough to be on the invitation list to their launch party to gain a first glimpse at this modern approach to how us Brits see the morning and all things brunch. The interior has a relaxed, modern feel decorated all in white with timber table tops and stools. It sits a maximum of sixteen to eighteen people at a time, making it quite intimate and helping to support excellent service to each and every customer. The menu is said to be small and will be divided into breakfast, brunch and lunch – but all categories will be available all day. From my personal experience, a shorter menu means fresher food: quality over quantity as the old saying goes. And listening to Sarah describe her ideas for this exciting menu certainly ticks all the boxes of carefully thought out dishes to leave visitors feeling satisfied. Freshness is on the agenda and so all food will be made to order. Better still, the pair are very aware of the increasing need to supply for specific dietary requirements; so if you’re gluten free, veggie or vegan then head on over for your daily food fix. But fear not meat lovers; the menu will have the option to add meat and fish as you please. Oh, and there’s always room for desert. Whether it’s a little treat after lunch or just a coffee and cake that brought you in, after feasting your eyes on the homemade treats, temptation is certain to win you over. Think raspberry cheesecake brownies – sweet yet tangy on top with a soft, gooey brownie middle, or, if you’re looking for a lighter option how about a twist on the famous lemon drizzle with added elderflower; so delicate and fluffy! Now, I know you may be thinking that it all sounds great, but why is this place so special? What makes this place any different from the rest? Well, I think the secret behind any successful business is a passion for what it is you’re doing. After talking to Will and Sarah, I can see just that. These are two people with a coffee dream. They care about this project and it shows through the extensive work that’s gone into this transformation of a previous barber shop to a brand spanking new café. They have a vision and are investing that into this business. All disposable materials are being manufactured from Veggware – meaning they are all biodegradable, and there is an emphasis on this type of lifestyle. Buy a reusable cup and get a discounted coffee each time it’s used. And it’s true that a lot of places are heading in this (right) direction, but this is a place that’s built it’s foundations on this environmental friendly morals which resonates, to me at least, that this has been a carefully, well-crafted plan that’s more than just ‘coffee’. Moreover, and possibly my favourite detail about this café is that it will be open from 7.30am on weekdays providing you with freshly ground coffee. No longer will you have to wait for your morning pick me up before heading into the office. It’s all about early risers ready to cease the day! The café is situated along Ermine Road in Hoole, so it’s not quite in the centre of the action – but I think I like that. It’s got its own ground to make its stamp. And I for one am very excited to see this place grow! The café will be opening on the 22nd June, so get planning your first taste of freshness. But be sure to get their early, I have a feeling this place will be filling up quickly! Follow them on Instagram @shortandstoutltd for all upcoming news and events!